"Spotless Carpet Care provides 100 percent guaranteed upholstery cleaning, tile & grout cleaning and carpet cleaning services to Chandler, Mesa, Gilbert and Scottsdale Arizona homeowners who insist on getting EXACTLY what they want from the Arizona carpet cleaners they hire!"" 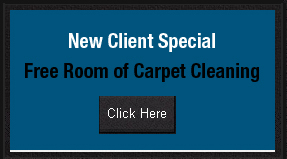 When you need carpet cleaning that is high quality and guaranteed, contact Spotless Carpet Care. We take enormous pride in our work and pay close attention to the details so that nothing falls through the cracks. For honest and comprehensive service at a reasonable price, call us. Our company understands that in order to provide you with excellent service, we must have a high quality staff. We hand pick all of our employees for their experience and competence. Our business has an extensive training program so that everyone who works in your home is highly skilled. We have a unique approach to cleaning that has been specifically developed to prevent any damage to your rugs or carpets. We also believe in using the highest quality products. We only use the most cutting edge cleaning supplies available. We're committed to only using safe, non toxic chemicals that won't have any adverse effects on your loved ones or your pets. And if you hire us for our odor and stain removal service, it comes with a 100% satisfaction guarantee! If you are looking for carpet cleaning in the Chandler, Mesa, Gilbert and Scottsdale area that is focused on customer satisfaction, contact Spotless Carpet Care. We have a dedicated team of professionals who understand how to get the job done right, the first time. We'll locate all of your stains, tracks, or odors and eliminate them quickly. Contact us today to schedule your initial appointment with us!